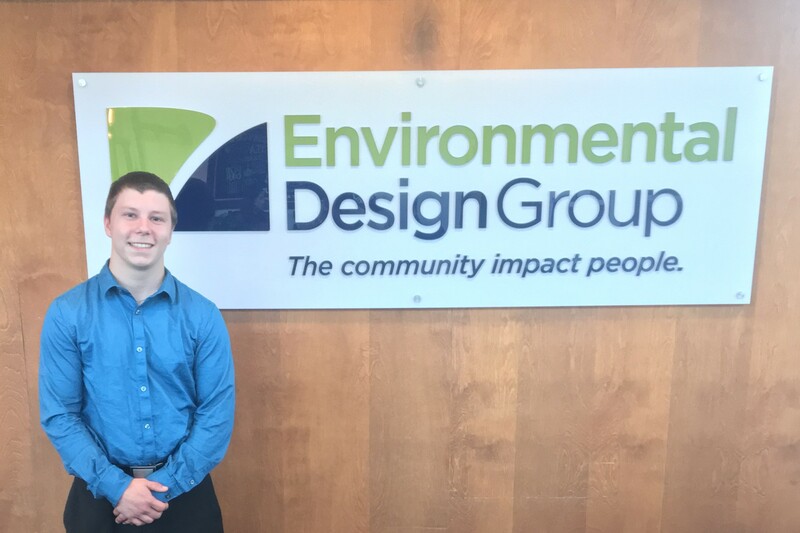 At Environmental Design Group, we take pride in our mentorship program, and we believe we’re helping the next generation find where their passion lies. 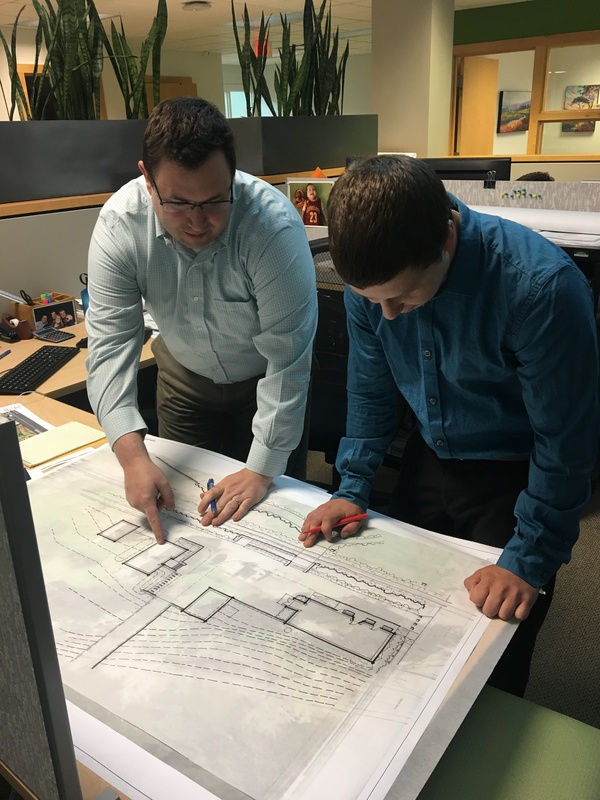 Over the last six weeks, our team has welcomed Matthew Beckwith, a senior at Tallmadge High School to the Institutional team, where he has focused on landscape architecture as a means for learning more about the profession. 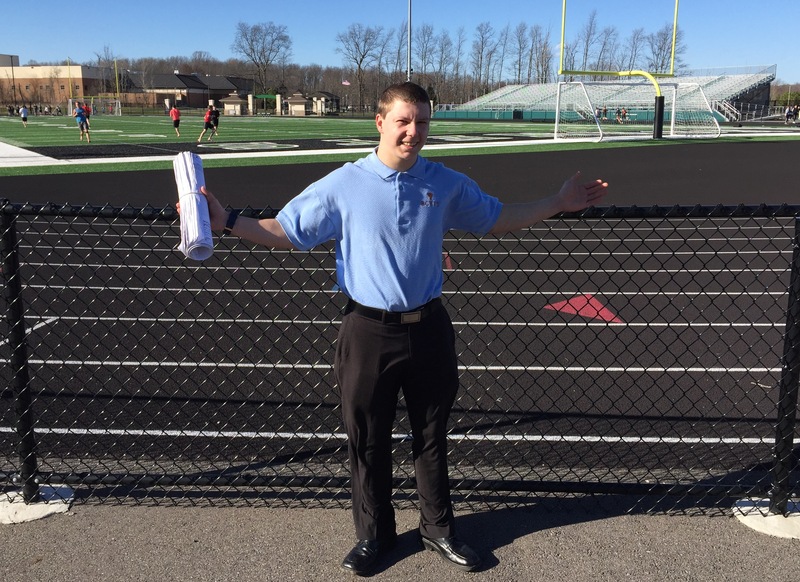 We asked Matthew some questions about his experience in the program, and the opportunity for him to work on a job conceptualizing a new athletic complex for his alma mater, Tallmadge High School. My name is Matthew Beckwith, and I’m a student intern from Tallmadge High School. What part of your intern experience did you like most and why? I liked going on a site visit to Highland High School, which is in Medina. I went with Travis Mathews, my mentor, to tour the work they did on their sports facility. To see the concept from a drawing, to being built was cool to see. I liked this experience because it gave me a better understanding of the work that goes into a project of this size. What did you learn from your experience here? Is there anything you can use in your everyday life? My experience at Environmental Design Group has taught me to find the area of a building, and always draw up multiple plans because the customer may not like the first idea. I’ve learned what green infrastructure is, and determining wastewater prevention and treatment. I think I will definitely use the skills in my everyday life. We know you’re a big fisherman. Are there experiences you have had here that mimic fishing? I have learned to always ask questions and always keep the learning process going. This is like fishing because to an angler, asking questions is the fastest and most accurate way to find the answer you’re looking for. I have learned a lot about fishing by asking questions. How do you think the work Environmental Design Group is doing at your high school (Tallmadge High School) is going to affect the student body once complete? I know Environmental Design Group is working with the School District on developing several concepts for the new high school athletic complex, and once complete, it’s going to provide a lot more opportunity for students. Maybe students will be inspired to look at landscape architecture as a future career? How has this internship made an impact in your personal life? This internship has made an impact on my personal life because it showed me different jobs options I didn’t even know existed. Do you feel the work you were exposed to at Environmental Design Group was valuable to your current studies? Yes, I do feel that the work I was exposed to was valuable. This internship taught me what people do in their professional careers. It has opened my eyes seeing the variety of careers people choose. Things I didn’t even know existed. Were you given responsibilities enabling you to apply knowledge and skills? I was given a chance to do some quantity takeoffs and calculations to figure out how many parking spots were in one area and what the area of a building was. How would you describe the work atmosphere at Environmental Design Group? Could you see yourself working here every day? The work atmosphere is wonderful. The people are nice and everyone is always happy. If there’s a question, someone is always around to help. I can see people are friends here. This has been a good experience for me, however I don’t see myself doing this type of work when I start my career. It has opened my eyes, and while I appreciate what is needed to do the job, I believe this is not for me. Would you recommend this internship to other students, and if so, why? Yes, I would recommend this internship to other students because the environment was friendly, the people were nice and they respect you. They will also help you understand their profession, and why they chose that path. They will also challenge you and give you a chance to figure out problems for yourself. EDG Feedback – We’re happy Matt joined our team and learned more about the profession, and one thing to consider is that landscape architecture doesn’t resonate with everyone. That’s not a bad thing. In fact, we believe if we can provide an opportunity for a student to learn the ropes, we’ve given them a chance to find their true calling in life, which will make the greatest impact for their future. Maybe some don’t know what landscape architects do? Let us take you on a short journey in the life of what our team of landscape architects do every day. So, what do Landscape Architects do? Landscape architecture combines art and science in a profession that designs, plans and manages our land. Landscape architects plan and design traditional places such as parks, campuses, gardens, commercial centers, resorts, transportation corridors, corporate and institutional centers and waterfront developments. They also design and plan the restoration of natural places disturbed by humans such as wetlands, stream corridors, mined areas and forested land. Working with architects, city planners, civil engineers and other professionals, landscape architects play an important role in environmental protection by designing and implementing projects that respect both the needs of people and of our environment. What skills and education is required to become a landscape architect? A landscape architect needs to have a solid understanding of the arts and a humanistic approach to design. They must possess the ability to analyze problems in terms of design and physical form and apply technical knowledge to translate a design into a built work. A formal education is essential to gain these skills and knowledge. Professional education in landscape architecture can be obtained at the undergraduate or graduate level that usually requires four or five years of study in design, construction techniques, art, history, natural and social sciences. Landscape architects are continually learning and acquiring new skills and to become a professional landscape architect, one must pass a national examination, the Landscape Architect Registration Examination, or LARE. 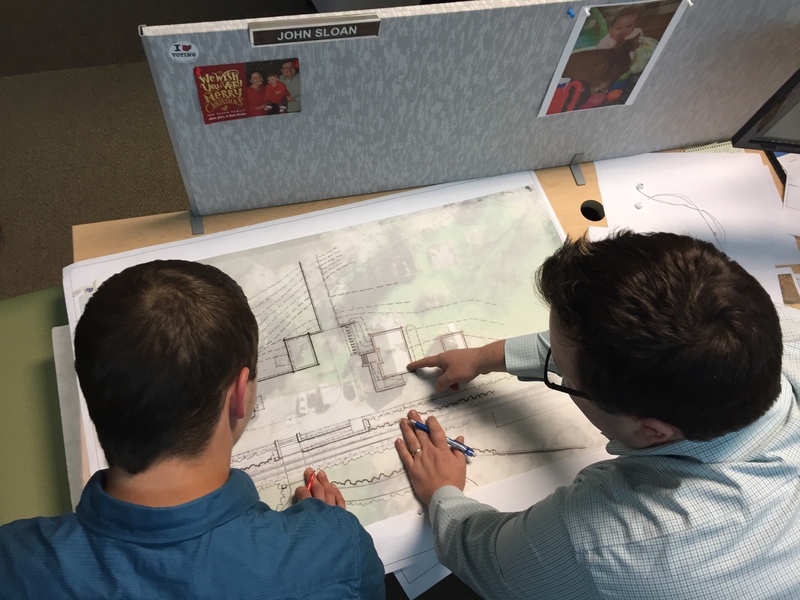 Landscape architecture can be a demanding career pursuit but for those passionate about playing a role in helping shape and impact communities, it can also be tremendously rewarding.